While Avon's goal is to fill every order 100% each campaign, there are challenges in meeting that goal. All retail companies face the same challenge of trying to predict just how many of a product they are going to sell during a certain time period so they can have enough product to meet customer demand, but not so much product that they have to store the excess and/or liquidate left over product. Sometimes the projections for a product miss the mark, or some other factor affects the availability of a product and we end up with a backordered, or no longer available item. Avon has several methods for letting us know the availability status of our products. They include a product availability search on our website and a listing as part of submitting our order. It's important to remember that each of these methods is an estimate only and actual availability will be determined by what is in the warehouse when your order is processed. I find a lot of items listed as being potential shorts are in fact available when I place my order. When I do have items that are on backorder or sold out my customers are usually very patient and understanding. A lot of that patience and understanding comes from them having realistic expectations, which I have helped to shape for them over the years. Of course any time someone orders from the Outlet, or a product in the main brochure that is marked as "while supplies last" I make sure they noticed that quantities of that product are limited. I let them know that sold out items are fairly uncommon but I want to be sure they were aware in case the product is needed by a certain date. If I know there is a deadline for the customer to get the product, I will contact them as soon as my invoice is available online to let them know if it was available. We may have already chosen an alternate item which I will order on my next campaign if there is time, or if their deadline is very close, I will likely order the alternate product as a backup. If it turns out we don't need it, I can sell it to someone else, use it as a gift, or return it to Avon. Our customer's reaction to shorted products will be heavily influenced by our reaction. If we are upset by the problem, whether it be items on backorder, late orders or any other issue then our customers will pick up on that and tend to be upset as well. If we stay upbeat and treat the situation for what it is, a small inconvenience, and a normal part of any business, our customers will usually be ok with it too. I even like to put a positive spin on it when a customer has to wait for a particularly popular product and point out that the customer must have good taste because so many other people ordered the same thing. Avon Tips 10 ~ How many "stores" do you have open? The brochure is your store. Make sure it's open for business! You place a $25 order every campaign for your personal/family needs. In addition to your $25 personal purchase, you order 10 brochures to share with family, friends and co-workers. As a result, you pick up two additional orders of $20 each. In addition to your $25 personal purchase, you order 50 brochures to share with family, friends and co-workers; plus approach 1 person every day, Monday-Friday, and meet your neighbors to distribute the remainder. As a result, you pick up 10 additional $20 orders. In addition to your $25 personal purchase, you order 100 brochures to share with family, friends co-workers; plus approach 3 people every day, Monday - Friday, and meet your neighbors to distribute the remainder. As a result, you pick up 25 additional $20 orders. I bet you wouldn't have to try too hard to think of what you would do with $178 every 2 weeks. Which of these options is most appealing to you? *all scenarios estimate profits based on core product earning percentage. Bulletin boards or the mirror in the public bathroom. Take down information for the people you want to follow up with. This Avon Tips message will be focusing on ways you can set yourself apart from the competition and build loyalty in your customer base. When you conduct your business with an eye to the personal touch you make your customers feel special and valued. So what are some things you can do to provide the personal touch? Offer your customers options – do they prefer to phone in their order? or email it to you? …have their orders delivered at home? or at work? …pay by cash? or credit card? Let your customers know what options you offer and let them choose whichever is most convenient for them. Of course you still need to only offer the options that work for your business, for example, if you don’t have unlimited text messaging on your phone, don’t offer your customers the option of texting their orders. So take a few moments today to think about the different ways you do things in your business and make a quick list so that you are clear in your mind what options you can offer your customers and then make sure to let people know they have choices in how they get their Avon products. If you see an article online or in a magazine, share it with them by telling them what magazine you saw it in, or email them a link. Better yet make a copy and give it to them. If you have a recipe they might like, give them a copy. If you know of a non-Avon product that might interest them feel free to share that information. They will appreciate your thoughtfulness. I've mentioned this in an earlier tip, but you would be surprised what an impact just sending a Thank You note to your new customers – handwritten, in the mail - can have. When you get a new customer, send them a thank you note the day after you deliver their first order. It doesn't have to be a long note, just 2 or 3 lines, handwritten on a note card. What you include in the note is not nearly as important as that you take the time to write it and it expresses genuine gratitude for their business. You can stock up on inexpensive note cards and keep them handy so when you come home after delivering a customer’s first order you can grab a note card and jot down a quick note and have it ready to mail off the next day. You can carry a couple with you and write them out in between appointments or while you are waiting in line or in a waiting room. You can also keep track of what campaign a customers “Avon anniversary” falls in and send them a note thanking them for their continued business each year. I include a certificate good for a percentage off a future order. This is the only time I regularly offer a substantial discount off of an order so a lot of my customers will take advantage of this by placing a larger than normal order in the campaign they use the coupon in. The amount of the discount is based on how long they have been a customer, they longer they have been with me the bigger the discount. Another time you want to be especially sure to send a thank you note is when someone refers a new customer to you. Send it after the new customer has paid for their first order and it's nice to include a coupon or certificate good for a few dollars off a future order, I give $5 but again, the amount you give is not as important as recognizing what the customer has done for you. If you like to send cards, but don’t want to have to hand write a card each time you get a new customer check out Send Out Cards at www.SendOutCards.com/SherryS . This is a service where you can send actual cards through the mail from your computer. They even have th option to set up a card that you will send over and over to different people. For many of Avon's more than 125 year history Representatives were assigned to territories and could only serve customers in that small area, usually right in their own neighborhood. Even after we were free to find customers anywhere we may be, we were limited by our ability to get brochures to customers and deliver orders. These days our worlds have really expanded and many of us have friends and family that are much farther away from us than just around the corner. With our online store we are able to expand our business as far as our social circle no matter how far it expands geographically. One way our online store helps to expand our business is with Direct Delivery, which is when orders are shipped directly to the customer from Avon. It is a great tool for expanding your reach by allowing you to serve customers who you are unable deliver to personally. The amount we earn and the way it is paid is different on direct delivery orders. We earn 20% on direct delivery orders and that is paid as a credit on your Avon account within a few days of when the order is placed. Your sales from direct delivery orders will combine with your personal delivery orders to determine your earnings level on your personal delivery orders. For example if you have $200 in personal delivery sales and $100 in direct delivery sales that will put you in the 35% level for earnings on your personal delivery orders. Typically direct delivery orders arrive at the customer's house about a week after the order is placed. You'll want to follow up with them and thank them for their order, and follow the same customer care steps you would with the customers you deliver to personally. While our online store is a great way for your customers near and far to shop you may find you have some prospective customers who do not like to shop online but due to distance or scheduling you can not personally serve them. You can use your online store, and the direct delivery option to service those customers as well. You can place the order for them going through your personal store just as your customers do. You would create a customer profile for them and create their order, then they would provide you with the credit or debit card information they wish to use to pay for the order. The billing address on the debit or credit card will need to match the address the order is being shipped to. If the customer does not have an email address you can use their name at noemail.com as a user name, for example janedoe@noemail.com. For customers you personally know, you can also use this option to help customers place gift orders by entering the gift recipient's name and address in the shipping address. I would not use this option with new customers you don't personally know because of potential credit card fraud. Of course you will still need to get brochures to these customers if they prefer having the physical brochure to viewing it online. Mailing single brochures can be a bit expensive but there are a couple of brochure mailing services that can get your brochures to your customers for less than you would pay to do it yourself. They are www.campaign-mailer.com and www.consultantdepot.com. Both services will send you a sample brochure for free so you can see what your customers would be getting. When your business grows to the point that you are regularly sending out 200 brochures or more, you could even consider using bulk mail to mail your brochures at discounted rates. I've mentioned this several times before but it bears repeating - Following up with Customers and Prospects is one of the most important things you can do to build your business. Let's take a look at some tools that make follow up easier and more effective. Use your customer's profile in the web office address book. You can add notes to each customer's profile to remind you of things such as the best way to contact them, or the best day or time to reach them. Include information on their favorite products or things they are looking for. On the Personal Info tab you can record their birthdays and anniversaries and they will show up on your calendar so you can acknowledge their special days with a note, a gift or a special offer. On the main page of the Web Office tab there is a box in the lower right corner that says "the fortune is in the follow up" If you click on that box it takes you to a list of customers who have not ordered in the last 3 campaigns along with their contact information and the details of their last order. You can see further order information by clicking on purchase history which will take you to the customer history page where you can see the past years purchases for that customer. You can use that order history to see if one of their favorite products in on sale this campaign, or if they may be due to replenish their supply of a product they use regularly. Speaking of the Customer History page, which you can also reach directly from the Web Office main page by clicking on Customer Management then Customer History, it's a great way to make the most of each campaign's best sales. I have found that just because a customer has the brochure doesn't mean that they saw that their favorite product is on sale. They may not look at the brochure that time, or may have been in a hurry when they did and simply missed seeing the sale. So it's my job to make sure they know about the sale. Say for example the Anew Genics Treatment Cream is on sale. You can plug in that product on the Customer History page and pull up a list of all of the customers who have purchased that item in the last year. You can then contact them and make sure they know about the sale. Even if they are not ready for a new jar, they may order now in order to get the sale price rather than waiting until they are almost out and paying full price. Another way to track which customers you want to contact when a favorite product is on sale is simply to keep a notebook. My notebook has a page for each product or product line that my customers typically reorder, for example I have a page for all customers who use Anew Ultimate products. I simply list on each page the customers who use that product, then when I am reviewing the current campaign and see that Anew Ultimate is on sale I can flip to that page and contact those customers. Now that you have a few campaigns under your belt it's time to start looking at Avon's President's Recognition Program and our first achievement level, President's Club. The President's Recognition cycle for this year began in Campaign 1 and runs through Campaign 26. If you sell $10,000 or more during those campaigns you become a President's Club member. Guaranteed earnings of 40% on core products and 25% on fixed earnings items. For full details on the rewards for each level of the President's Recognition program see the program guide on the Rewards and Recognition tab on your website. I know when you are new that $10,000 seems like a lot, but if you break it down over the whole year that is an average of $385 each campaign. If you work your business 10 days each campaign that breaks down to only $38.50 each day in sales. Of course you probably didn't start in Campaign 1 but you could still reach President's Club in your first cycle if you are building your business quickly. You can view your personal goal card on the PRP tab of your website to see how much you would need to average each campaign to reach President's Club. If President's Club seems out of reach for you for the current cycle, consider the campaigns remaining this year as your foundation campaigns, you build a strong foundation for your business and when we get to Campaign 1 of next year you'll be consistently averaging the sales you need each campaign to make President's Club next year. Another great thing about the President's Recognition Program is President's Points. President's points are reward points that can be earned many different ways and can be redeemed for 100s of prized though our reward headquarters. Over the years I've used points for everything from gift cards and travel to household items like a bread machine and vacuum cleaner. As a new representative you have a couple of chances to earn points even before you reach President's Club, in fact you may have earned some already. New Representatives have the opportunity to earn points both for hitting certain sales goals during their first year and by helping others start their Avon business. What if you come back to that person next month? Or the month after that? What if you make sure that the next time that person starts to run low on night cream she see’s the latest Avon brochure? Could you have a new customer then? Absolutely! I would estimate that only 1 out of every 10 of my customers ordered from the very first book I give them. The rest ordered after several contacts, some as long as 6 months after I first gave them a brochure. Have you offered a brochure to a cashier who was not interested, so you just stopped offering brochures to clerks? What if the very next cashier you met could have been your next best customer? or your next new representative? 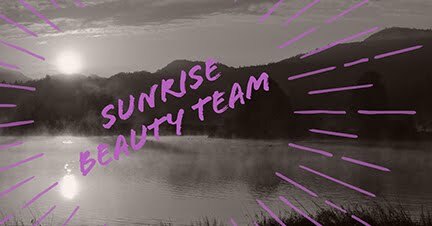 There are A LOT of people who are looking for an Avon representative, and many more who would love what we have to offer if given the opportunity to try it. The way to find those people is to keep talking to people and keep giving them books. Statistics show that 80% of all sales are made after the 5th contact. 48% of all sales people give up after the 1st contact. 25% give up after the 2nd contact. 12% make 3 contacts then stop. 5% quit after the 4th contact. A mere 10% of all sales people keep on calling after the 4th contact and to this persistent 10% goes 80% of all sales. One of the ways that you can maximize your earnings is to be aware of where your sales are at during the campaign so you can watch for Hot Points. When your total sales for a campaign fall just below the next earnings level, you have reached a Hot Point. When you reach a Hot Point, your earnings can improve dramatically with a small sales increase. For example, by increasing your order from $275 to $295 you make the jump from 30% to 35% and increase your earnings by about $20. How do you make the most of hot points? Start by keeping track of your total sales as you progress through each campaign. As you get a new order add it to your collection envelope for that campaign so you can easily keep a running total for the campaign. At least twice a campaign compare your running total to the hot point chart above to see how close you are to the next level. If you are getting close to a new level you have 2 choices to put you over the line to the next earnings level. If you choose option number one you will be getting free product for yourself, which is great if it really is a product that you will be using and enjoying but wouldn't it be even better to have more money in your pocket at the end of the campaign rather than another product on your counter? Look at your customer list. Who have you not had contact with recently? Who should be due to refill their favorite product? If you have slacked off on your follow up calls there is no better time to do them than when you are faced with a hot point. In some cases it only takes 1 more order to put you over the top.